Unemployment insurance Category Archives — New Jersey Employment Lawyer Blog Published by New York Emplyment Law Attorney — Hackensack Employment Lawyer — Rabner Baumgart Ben-Asher & Nirenberg, P.C. A recent published decision from the New Jersey’s Appellate Division recognizes that an employee can be entitled to receive unemployment insurance benefits if she resigns from a job to accept a new job but her new employer rescinds her job offer before she begins the new position. Generally, New Jersey’s Unemployment Insurance law does not apply to an individual who voluntarily quits her job unless she can prove she resigned with “good cause attributable to the work.” Until recently, this disqualification applied whenever an employee quit a job to accept a new job somewhere else, even if the employee lost her new job through no fault of her own. Two years ago, the law was amended to make it clear that this disqualification does not apply under limited circumstances in which an employee quits one job to start another job, only to lose the second job through no fault of her own. Specifically, effective May 4, 2015, the New Jersey’s unemployment insurance law was amended to add an exemption for someone who “voluntarily leaves work with one employer to accept from another employer employment which commences not more than seven days after the individual leaves employment with the first employer.” That exemption applies only if the new job is for at least as many hours per week, and at least the rate of same pay, as the previous job. As I discussed in a previous article, in 2010 New Jersey passed a law Prohibiting Companies From Saying Unemployed Job Candidates Need Not Apply. With limited exceptions, this relatively new anti-discrimination law prohibits employers from advertising that job applicants must have a current job to be eligible to be hired, interviewed or considered for a job opening. Earlier this month, a court upheld that law against a challenge from an employer who claimed the law violated its rights under the First Amendment. The case was initiated by a company, Crest Ultrasonics, and its Chief Executive Officer, J. Michael Goodson. They had advertised a job opening for the position of Service Manager in a newspaper. The advertisement stated that a job candidate “must be currently employed,” in violation of the unemployment insurance discrimination statute. Two people complained to the New Jersey Department of Labor (“DOL”) about Crest’s job ad. The DOL investigated and subsequently fined Crest and Mr. Goodson a total of $1,000. Crest and Mr. Goodson challenged the fine, claiming it violated their right to free speech guaranteed by the First Amendment to the United States Constitution and the New Jersey Constitution. The Commissioner of the DOL upheld the fine. Crest and Mr. Goodson appealed. New York City recently amended its anti-discrimination law, the New York Human Rights Law (NYCHRL), to prohibit discrimination against individuals who are unemployed. The amendment to the NYCHRL prohibits discrimination with respect to both hiring and the terms and conditions of employment on the basis that the job applicant is unemployed. In other words, it makes it unlawful to refuse to hire an employee because he is unemployed, or to offer him a lower salary or employee benefits because he does not already have a job somewhere else. There are several important exceptions in the amendment to the NYCHRL. For example, it is still permissible for employers to consider a job candidate’s unemployment status if there is a “substantial job-related reason” for doing so. It also permits employers to choose to hire only internal job candidates, even though doing so would eliminate unemployed job candidates from consideration. In addition, it does not apply to civil service employees, and is not intended to interfere with the rights of any employee under a collective bargaining agreement. Further, it makes it clear that employers can ask job candidates about the circumstances under which they left their previous jobs, and to consider those circumstances when deciding who to hire. The amendment also prohibits employers and employment agencies from advertising that being employed is a job qualification or requirement. In this respect, the New York City law is similar to a law passed in New Jersey last year (see our previous article: New Jersey Makes it Illegal to Discriminate Against Unemployed Job Candidates). But unlike New Jersey’s law, the NYC law permits employees who have experienced discrimination because of their unemployment status to recover damages including lost past and future wages, emotional distress damages, attorneys’ fees, and potentially punitive damages. Although Mayor Michael Bloomberg vetoed the law, the New York City Council overrode his veto and enacted it on March 13, 2013. It goes into effect on June 11, 2013. In Lord v. Board of Review, New Jersey’s Appellate Division recently held that an employee who resigned because his employer told him he “had to resign” was not disqualified from receiving unemployment benefits. Specifically, Talmage Lord had a job with Crossmark that involved driving to various retail stores in New Jersey and Pennsylvania to arrange merchandize on shelves. When Mr. Lord notified his manager that he was unsure he would be able to report to work on Monday because his car had broken down, his manager told him he had to “resign effective immediately.” Mr. Lord had no intention of quitting his job, and had already taken efforts to find another way to travel for work. When Mr. Lord applied for unemployment compensation benefits from the state of New Jersey, his claim was denied on the ground that he left his employment “voluntarily without good cause attributable to the work.” That determination was affirmed by the Appeal Tribunal, which reasoned that Mr. Lord resigned voluntarily because he was the one who initiated the action “which eventually lead to the separation.” The Board of Review also affirmed the decision denying unemployment benefits to Mr. Lord. In effect, the New Jersey Department of Labor adopted a rule that employees who are told to resign are ineligible for unemployment benefits, even when an employee who was fired under the same circumstance would have been eligible. Mr. Lord appealed that decision once again, to the Appellate Division of the New Jersey Superior Court. The Appellate Division is the highest level of appeal for unemployment benefits disputes. The Appellate Division reversed the decision of the Board of Review and awarded the unemployment compensation benefits to Mr. Lord. The court explained that even though Mr. Lord’s manager characterized his termination as a “resignation,” it was not any different from termination from employment. In other words, the court made it clear that employers may not prevent employees they wish to fire from collecting unemployment benefits by forcing them to resign. 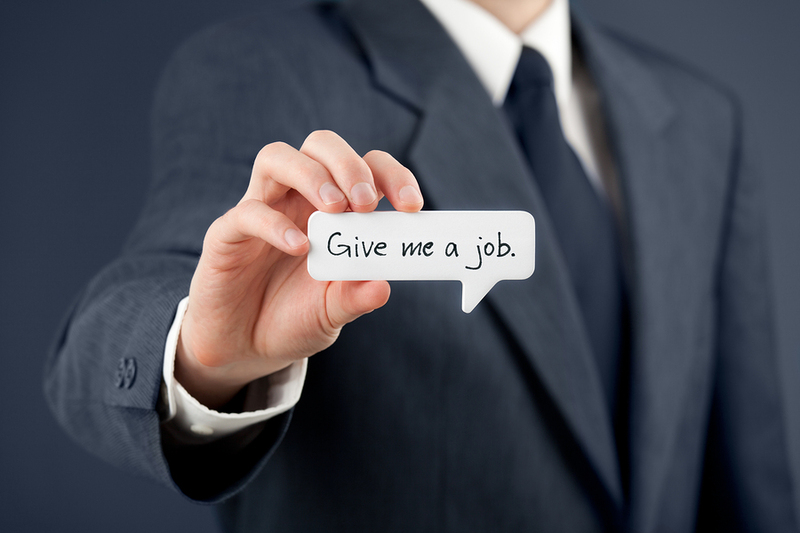 New Jersey is considering passing a new law to make it illegal for companies to state in job advertisements that they will not hire job candidates who are currently unemployed. This proposed new law is likely inspired by a recent article in the Huffington Post, which indicates that many companies are refusing to hire job candidates who are unemployed. According to the article, companies are actually stating in job advertisements that they will only hire candidates who currently have jobs, or that unemployed individuals do not need to apply. Presumably recognizing this is bad for the economy because it makes it even more difficult for unemployed individuals to find jobs (and stop collecting unemployment insurance benefits), New Jersey is considering an amendment to its labor law that would make it illegal for any job advertisements to state or suggest that (1) being currently employed is a job qualification, (2) the company will not consider job applicants who are currently unemployed, or (3) the employer will only consider job applications who are currently employed. The proposed law would subject employers who violate to a penalty of up to $5,000 for a first violation, and $10,000 for each subsequent violation. However, it would not make it illegal for employers to consider the fact that a job candidate is unemployed as a factor in hiring decisions. It also would not make it illegal for an employer to refuse to hire unemployed job candidates. At this point, the bill is not yet a law. It was approved by the Assembly on October 25, 2010, but still needs to be approved by the State Senate, and then signed into law by Governor Christie. In the meantime, New Jersey law already prohibits employment discrimination based on numerous other categories, including race, gender, age, religion, and disability. On July 2, 2010, Governor Christopher Christie signed into law an amendment to the New Jersey Unemployment Compensation Act, which makes it more difficult for employees fired for work-related misconduct to receive New Jersey unemployment insurance benefits. Specifically, the amended law creates a new category of disqualification for “severe misconduct.” It also extends the period of disqualification for employees fired for misconduct that was not severe by two weeks, bringing the disqualifiaction up to eight weeks in total. Both changes were originally proposed by Governor Christie but not included in the Senate Bill. The Governor subsequently conditionally vetoed the unemployment insurance Bill unless the Senate accepted his revisions.